Gadsden, AL, February 19, 2018– The American Crappie Trail is set to open the 2018 season on Neely Henry Lake in Gadsden AL. The ACT is the highest paying and most prestigious crappie fishing trail in America. We will bring teams of anglers from over 15 states to town on March 16th & 17th 2018. From a fresh and innovative format that includes TV show that airs on Pursuit, Fox Sports Midwest, Fox Sports South, live production weigh in, drive through weigh in, a Ranger Boat at every tournament to the winners, and over 100% payout. Our events are open to anyone from the first-time tournament angler to the experienced. With this new format comes new rules. Make sure to check out the ACT rules at http://www.americancrappietrail.com/rules/. For more information visit www.americancrappietrail.com. So you’re a great angler and you think you want to raise your game to that proverbial next level. Now you want to get on a pro staff. First you have to understand that the pro staff world has been badly diluted, since the onset of social media, yet it’s still a mandatory stepping stone. Second is that you can no longer just be a good fisherman, and still stay relevant in today’s market. Third and most important is that these positions are now part of a growing business model, that means you have to be a business professional first and angler second. So given these facts there are things you can do in searching out a pro staff position that can help you along the way. Rather than write of my own experience I spoke with three large outdoor companies pro staff managers and two professional anglers. Chris Holloway of Engle coolers replied that it’s a 10 for them. They first look at an applicant’s social media following in the vetting process. It’s important to Engle that an applicant has a large following on Facebook, twitter, and Instagram. They equate followers and potential new customers. In the highly competitive world of high end coolers this actually makes sense. You ability as a fisherman or Hunter is secondary to your social media following here. Even though as an angler I don’t agree that social media trumps actual ability, I can see their point. The best angler does not always make the best use of the social media platforms available. Kent Driscoll of B’n’M poles replied that it is a 6 for them and he feels it will become more important to them in the future. They currently focus more in different areas. Tony Shephard of Jenko Fishing replied that social media presence is the first thing he looks at in potential applicants. They are able to help an average angler along if they are well spoken on social media. Outdoor Resume is another big question in the industry. I asked all three managers how important a resume was when looking at a new applicant. Much like social media this topic is night and day. The resume indicates a commitment to professionalism in some circles and is seen as just another piece of paper in others. 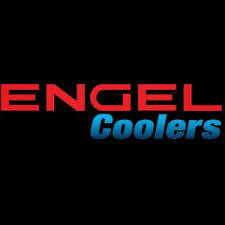 Chris Holloway of Engle Coolers replied That it’s not the first thing they look at but it is relevant during the process. Kent Driscoll of B’n’M poles said this is the first thing he looks for. He has seen that anglers who take the time to make a resume tend to be more businesslike in their approach to both companies and the general public. They also like to see the chronological track record of all applicants, the resume is the perfect vehicle to do just that. Tony Shephard of Jenko Fishing replied they do also want to see a resume on each applicant during the process. As he so eloquently stated, “This is a business and we want people who will represent the brand well”. Finally I asked about Appearance to each manager. Appearance meaning not just the way an applicant dresses in their photographs and social media posts but, how they portray themselves while setting behind a computer screen. To properly discuss appearance its need to be broken down into a couple subtopics. First is visual appearance second is virtual appearance, as in social media perception. In Visual appearance all three companies are looking to see if the applicants maintain a professional appearance. Do they wear their jersey at tournaments and media events? 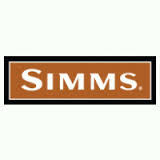 Most are just looking to insure you are willing to represent their brand is a professional manner. The fishing industry gets a bad rap of being a group of country folks who always wear sleeveless t-shirts and dirty jeans. In virtual appearance they are looking to see how you represent yourself on social media. Are you well spoken or do you post rants about a litany of things that are way to controversial for them to share on their website. Most agree it’s best to build a professional page and keep it separate from your personal social media accounts. I also spoke with two of crappie fishing’s most famous and successful anglers, Whitey Outlaw and Ronnie Capps. They both gave the same reply when I asked them to tell me one piece of advice for aspiring professional anglers. Both said “Do not over promise what you can do” and “Conduct yourself as an ambassador to the sport at all times”. Well the good news is the crappie will bite even in the cold. The bad news is the river is still very high and muddy in places. Today we ventured out to the lake and managed to scratch out enough for supper before the coffee ran out. The bites were scarce but, when you did get bit it was a quality fish. We fished the B’n”M Capps and Coleman double minnow rigs but, we replaced the bottom hook with a Charlie Brewers Crappie Slider in Grass Hopper Green. The fish were suspended at 17 feet over deep brush piles. The lake has dropped to 43, that may explain why it was a “one here and one there” type day. It is cold and there is a little more current than I like but all in all it was a great day. On January 9th the Mississippi Catfish Trail has the final leg of their series on the Mighty Mississippi River. I left Tennessee thinking it would be a nice change to be warm for a few days but, I was very wrong in that regard. When Saturday rolled around it was all of 21 degree’s at the pre-launch meeting. In fact it was so cold they has a propane fireplace burning so you would not get frostbite before you even hit the water. When day break arrived it the temperatures had risen into the mid 20’s. I jumped in the boat with the B’n’m Pro Staff team of David Magness and Rusty Jackson and away we went down river. The temperature was 24, the boat was running 45, and the wind was blowing 12-15 mph. I am not sure how you would get a windchill out of all that but, I can assure you it was ” all the way cold” according to David. They fished all day and caught 4 fish but that was not enough to win the event as that big fish bite evaded them with the cold front. However they had enough points to win the Mississippi Catfish Trail Anglers of the Year. Congratulations on yet another bug win by a team of B’n’M pro Anglers. The crappies on Priest are trying their best to fall into a stable winter pattern. If the lake will stay stable we will be in business! Currently the fishing is on fire. The fish are holding steady in 12-14 feet of water suspended over 20+ feet. Double minnow rigs with a Charlie Brewers Slider on the bottom have been producing limits. Cotton candy has been the best color by far. The fish are a little trolling motor sensitive so the BnM Pro Staff 16 foot trolling rods were the deal for keeping the baits away from the boat. Above: Bryant’s Osage Outdoors, the best tackle shop on the lake. I must say that the Lake of the Ozarks is a very impressive, yet intimidating lake. It has over 30,000 docks and more shoreline than the coast of California. Just getting started can be quite a daunting task. When we left Tennessee, I was not convinced this was a crappie destination, I tossed in a couple bass rods “just in case”. We started fishing in the Laurie area and never felt the need to leave. Not only is the fishing great but the people in the area are extremely free with information and very accommodating. We chose to base out of Bryant’s Osage Outdoors tackle shop. Accommodations were also awesome at Hawks Landing Resort. The lake has about every type of structure and depth you can imagine. We started pulling crank baits in 45 feet of water, targeting suspended fish at about 22 feet deep. Since this is primarily an open water game we were near the main channel edge following the 45-foot contour line. We caught fish all day using this method and oddly enough they were all white crappie in the 1-pound range. We stopped counting at around 60 legal fish. We used the Jenko Crappie crankbaits to catch our fish. On Saturday we awoke to a major curve ball from mother nature. The wind was blowing 15-20-mph and the temperatures had dropped over 10-degree’s. The main lake was just not fishable due to the wind. Boat control was a futile effort. Add in the 40-foot plus yachts full of, what the locals called” leaf lookers, and my 18-foot boat was just not enough watercraft that day. We hit some sheltered coves, but they were not crankbait conducive at all. They were full of brush and other structure. We had no choice but to change tactics to, my least favorite method of crappie fishing, spider rigging. We stayed in 3-10-foot of water and rigged with a pair of hooks tipped with minnows. If we stayed shallow, and tight to the brush, we caught a few fish. It was nothing to call home about yet… I have a thing about orange jig heads because they always catch fish, well that’s what I tell myself anyways. In other words, I have extreme confidence in orange jig heads. The fly in the proverbial buttermilk was my jig box was on my desk, 587 miles away. Luckily, I had been to the American Crappie Trail banquet and had been given one pack of jigs called a Rockport Rattler, and they were orange! We removed the hooks and started tipping a two-jig setup with live minnows. That turned out to be the game changer for the day. We caught fish one after the other, until lunchtime. After lunch we swapped to shooting some of the plethora of docks on the lake and we caught our best fish this way. When the sun peeked out we would catch good fish, when it went behind the clouds we still caught a few but the size dropped considerably. Troy Basso is a freelance outdoor writer and photographer from Tennessee. He can be reached though his website at www.troybassooutdoors.com . Here is my friend, and BnM catfish pro angler, David Magness talking about how he uses RIGRAP to keep his pre built rigs organized.